A joint agency approach tackling anti-social behaviour in Portstewart has been praised by the University of Ulster. Professor Deirdre Heenan, Provost of the Coleraine campus and Pro-Vice Chancellor (Communication), said the partnership between the University, PSNI, Coleraine Borough Council, Housing Executive and Portstewart Vision Group has helped strengthen positive community relations in the area. Now in its sixth year, ‘Operation Nightsafe’ is designed to ensure that students and young people get home safely without causing disturbance to local residents and that their properties are protected against crime. The initiative involves increased PSNI patrols in residential areas of Portstewart as students and young people make their way home from nightclubs. Coleraine Borough Council also has representatives present to tackle any environmental health issues. Speaking at a recent meeting of the Joint Agencies Forum, Professor Heenan said: “This initiative reflects the benefits that can be reaped when organisations work together to tackle a community problem. Mark Bell, Vice President of the University of Ulster’s Coleraine campus, added: “Being involved in the Joint Agencies Forum has been a fantastic opportunity for the Students' Union. 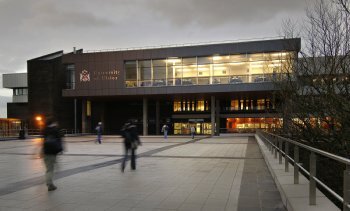 It gives a voice to students at the Coleraine campus to ensure they are fullyrecognizedas members of the local community.